Holy Mackerel, Batman! The artwork is torturous, but the innards aren't as brutal. Like Hellboy or Ghost Rider, this spawn from Satan's cove is far from evil. If you judged this book from its cover, you'd expect a sinister entity; possibly a hellacious progeny from Todd McFarlane's perdition. What's ironic is that its personable mood and accessible tone is closer to The Family Guy or American Dad, which were founded instead by a Seth. In other words, there is no relation. It's as intriguing as Stewie Griffin's official untold story, yet it's as foreign as Roger the Alien. For quite some time, this band has been away from the land of the living. Now they are back with an unsettling graphic that holds the key to a terrific score. "Intro" - Immediately, we are hit with instrumental enchantment. After this peacefully-brief stint, I find it hard to believe this music will get corrupted. "Open Your Eyes" - This is melodic rock dipped in a very fat vat of rancid acid. In this metallic block print that's scarcely ever wooden, the etchings on its impressionable and supple pulp cause some very fine art. "Save My Soul" - The caustic substances used in this shower char the preceding textiles to their bone. With nerves of steel, it creates a tingling sensation. Still, the blisters it induces are not completely harmless. As the title track on a disc that's plastered with the deplorable portrait of an umbrageous incubus, I'm glad I decided to investigate the depths of this rabbit hole further. What we have in this instance is similar to Russell Allen's Atomic Soul, only it's not entirely without the acrimonious meltdown. "End In Sight" - This band is skilled in the kitchen. They take elegant beats and roast them until they are good and raw. What we get here is delectable toast laced with a paste of garlic and butter. If you took the sulfuric anger away from Rammstein and amplified the keyboards and bass, you'd be impaled by this serrated blade of Progressive Metal. "The Key To Creativity" - The last bloody cut was a false alarm as we have several stops to go in our quest. In End Of Days, Arnold may have battled a winged devil. The story to follow; however, is about a fallen angel that's reconsidered its purpose. In line with the legend, it tells of a prophecy that's often foreshadowed by Threshold and Enchant. The harmonies are so saintly; it eases my mind and drives the iniquity away. This makes room for Volker Walsemann's virtuous voice. While the bridge is frigid, the chorus is absolutely chilling. This is all in a shockingly-good way. When put to the test, this is my favorite from the line-up. Without amnesia or doubt, I insist that it's the most memorable transgression to me. If a crime was committed on its watch and I witnessed the heist, the detectives would soon discover that I have total recall on the event. "In The Wait Loop" - Quickly we are embraced with the dark side of the force. This omnipotent being has ruthless control and reigns over the rodents with bad intent. Other than that, it's continues to demonstrate pity by providing melodically-driven progressive-reprieve. These intermittent acts could be easily construed as empathy, mercy or remorse. 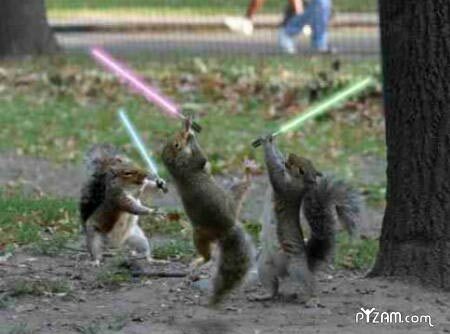 In a nutshell, the oppressed squirrels ignore the kindness and revolt. "The Torture" - As we travel deeper into this garish gulf of contravention, the music gets edgier; lapsing full-throttle into sin and indiscretion. As imagined, the comfort level on this bed of nails is minimal. Be that as it may, it's almost bearable once you've distributed your weight. This song gives a clue as to why the fa?ade is so wicked. The violence is not in their sound, but in their lyrics. "Spellbound" - We are awoken from a catatonic nap by a series of noxious bars from their pet xylophone. This tawdry and tacky instrument should not be undermined, underestimated, or toyed with; their stealthy tool of destruction is deadly-serious. Luckily, the notes are impeccably-integrated within this piquant dish of curry and coconut milk. While it's spicy, no indigestion occurs and no tummy aches are scheduled to happen. To combat the intolerance, a neutralizing agent has been swallowed with the meal. As it turns out, this capsule is the granddaddy of them all. It provides the same delight as Dream Theater's Images And Words. It's like John Petrucci's scales interspersed with Kevin Moore's terse, melodic verbs. It's all unspoken, as there are no adjectives or nouns playing host to its structures. Throughout the course of its strictly-vivid dialogue, not a single remark or utterance is made from Walsemann or his henchmen. To clarify my intimations, the instruments play a dynamic game of charades as each of their mouths is bound by a gag and thus remains silent. "From A Distance" - It's clear that the contents in the vial prove to be less like medicine and more like Scope's cool blue mouthwash. Looking closer, the cloak that envelopes the music is doused in KoolDown and Aloe Vera. In other words, this is easy to endure even if our quarry's cartilage is revealed. Without the pathetic imp standing between us and the exit, you have Bactine, Solarcaine, and a poultice made from Goldenseal to soak your lesions in. On top of that, the remedial elements are diluted in a generous bath of flesh-quenching cobalt waters. While there are damaging riffs outside the grotto, the isolated cave is mainly a peaceful chamber. By and large, the song revitalizes like a fast-acting fountain of youth. This functions in much the same way as Professor Jean Gray's destructive emissions on Wolverine's self-healing epidermis. Again this proves that you cannot judge a body by its outward appearance. While it's as symphonically-murderous as Devin Townsend's Accelerated Evolution, it's certainly friendlier than Dead Soul Tribe's A Murder Of Crows. Plus, the prelude to the outro features some very killer solos. "Break The Spell" - As virile as the experience was two tracks back, this is the father to that mature lad. It has the sensitivity of Bon Jovi with the compassion of Queen. When the breaker blows, the electrical surge that flows provides the voltage of Tesla on the currents of Judas Priest. With such dominant riffs, it's the very definition of Progressive Metal; thus making it the ideal material to cork their elusively-herbaceous bottle of hot sauce before it explodes. At the end, they send us out with winds so turbulent that they would knock Flash Gordon off his scooter. Connor MacLeod would have no chance staying afloat on his anti-gravity skateboard either. Not to mention, it's enough to make the scowl on Max Von Sydow's face turn into a smile. Personally, I felt that Topol made the right decision when he decided to wake the stowaways from stasis. Doing so led to the removal of a commercial curse from a villainous planet. The upshot to our parable is similar to that instance. While poverty has never been a crime, stealing to survive has bordered on virtue. Along those same hungry breadlines, this band robs from rich banks of progressive rock only to give back to us poor and starving fans who incessantly-request elegant and intelligent time-signatures. Back to my original thought; the creepiest part of the cover is that the eyes within the skull are alive and the scalp is on fire. In some ways, you could say the artwork was inappropriate - not just for its content, but due to the fact it's irrelevant. Despite the consequences, it made me curious enough to peek. With Darkman's painful origins disclosed on the cover, I was happy to find divine light at the end of this ominous tunnel. Ultimately, if the underworld or cosa notra is this noble and pure, I find no need to save my soul? please take it there.